How an investor views Exxon Mobil Corporation (NYSE:XOM) stock going forward likely depends on how that same investor sees XOM stock looking backward. The XOM stock price five years ago was $90. As of this writing, it’s $83. Is that good news? In one sense, it is. Oil prices have crashed, and yet including dividends, XOM shareholders have received a modest return over that stretch. Exxon Mobil’s diversification through chemicals and upstream businesses has protected the downside. Even a major driller like Anadarko Petroleum Corporation (NYSE:APC) is down 28% over that period. Chesapeake Energy Corporation (NYSE:CHK) stock has declined 82%, and many other hot O&G plays from 2012 have gone bankrupt in the interim. The XOM stock price may be down, but it very well could have been worse for investors bullish on oil and gas five years ago. Of course, on the other hand, XOM shareholders have missed out on substantial returns elsewhere. The S&P 500 has risen 82%, not including dividends, over those five years. Exxon’s compounded return even has (slightly) lagged that of U.S. Treasuries in the lowest interest-rate environment in U.S. history. How XOM looks at this point depends in large part on how an investor views the last five years. And it means there’s two very different ways of looking at Exxon Mobil stock. For an income investor, in particular, the past five years might look heartening. Over that five-year period, the price of oil has dropped from the high $80s to the low $50s. Natural gas prices have fallen as well. The past five years might not have been the worst-case scenario in 2012, but they’re not far off either. And yet XOM stock has satisfied two of the most important requirements of income investing, particularly for retired investors. The XOM dividend has provided 3%+ income annually, and after a recent rally investors have kept most of their principal. With the 10-year Treasury yielding just 2.4%, XOM offers more income at the moment. It might not offer the same level of safety – but the past five years show that its diversification does offer substantial protection even in a time of falling energy prices. So the case for XOM stock going forward might actually be helped by history, at least for income investors. XOM stock didn’t break at a time when most smaller energy stocks did. The diversification of retail and chemical operations has kept profits, and the share price, afloat. With the dividend yield at 3.7%, XOM still is going to provide income. And the risk posed by another leg down in energy prices seems manageable, at least if history is any indication. So an investor might see XOM as a reasonably safe income play and one with some upside if energy stocks continue their rebound. But that doesn’t make XOM stock a logical pick for all investors, particularly those more focused on capital appreciation and stock-picking. That’s especially true for investors who are bullish on energy prices. As I wrote back in May, Exxon Mobil stock is one of the worst in the sector for actually playing higher oil prices. The same diversification that protects the downside also limits the upside. And the history shows that, too. XOM stock really didn’t move that much as energy stocks exploded a few years ago. It was smaller, leveraged, pure-plays that gained. If an investor believes that energy prices are going to continue their rebound, XOM is not the play. CHK makes much, much more sense for that thesis, and so do myriad other producers. The other catch with the idea of XOM as the ‘safe’ energy play is that other diversified providers have done better. 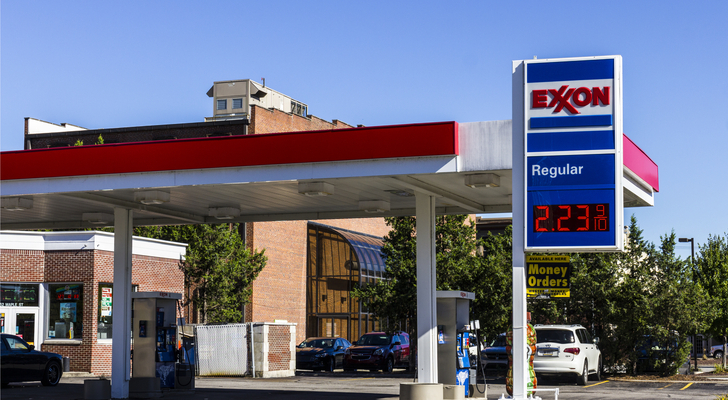 Over that five-year period, including dividends, BP plc (ADR) (NYSE:BP) and Chevron Corporation (NYSE:CVX) have outperformed XOM stock by 20 points, including dividends. ConocoPhillips (NYSE:COP) has provided basically similar returns. BP, in particular, seems a more intriguing choice going forward, as the last of the Deepwater Horizon liabilities are settled and given what still looks like a higher breakeven point, which provides more upside if Brent prices continue their rise. But for investors looking for growth, or betting on higher energy prices, XOM is quite simply the wrong choice. Like most things in life, and in the market, XOM is a trade-off. There’s no doubt lower risk, and there’s no doubt lower reward. Article printed from InvestorPlace Media, https://investorplace.com/2017/10/xom-stock-done-mover/.